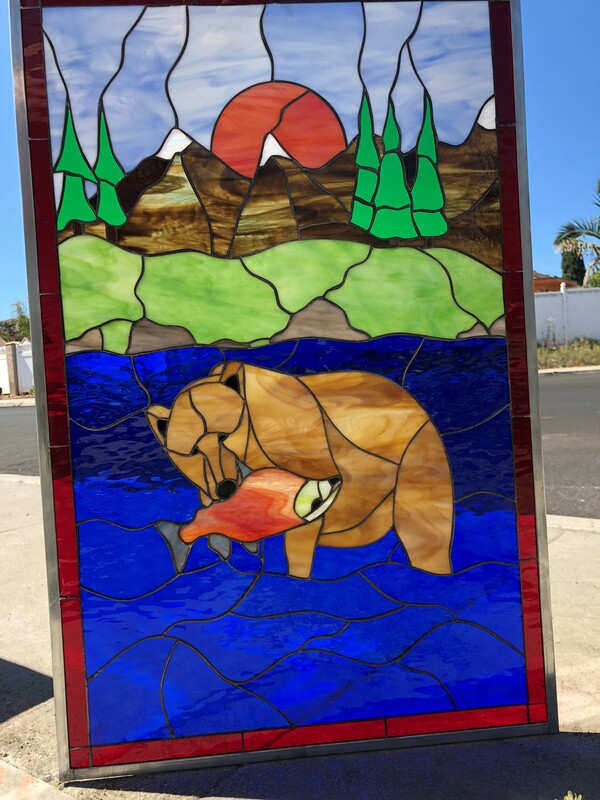 Be one with nature with our setting of Alaska in our stained glass window panel. 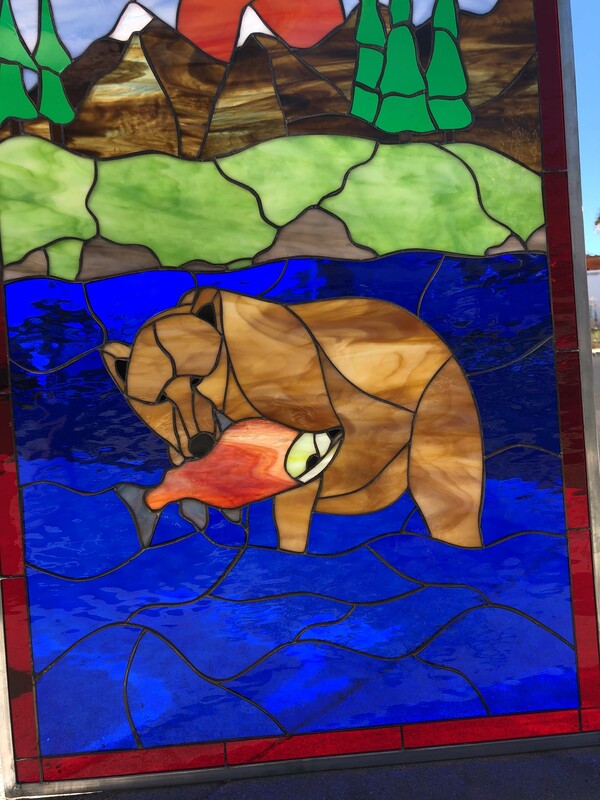 A hungry bear captures his ultimate reward, a delicious humpy salmon he’s snagged from the waters. 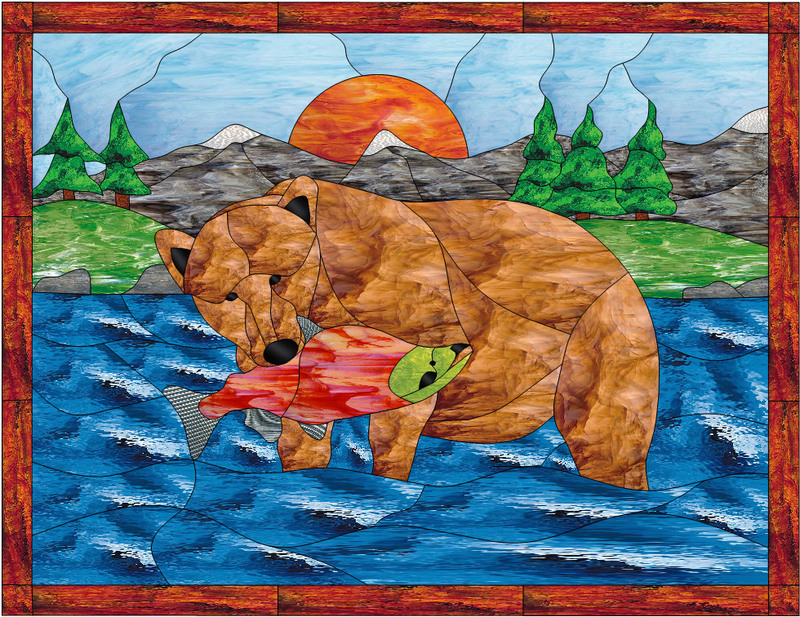 Behind him, the glorious Alaskan scene with mountains, fir trees, and a setting sun complete the piece. 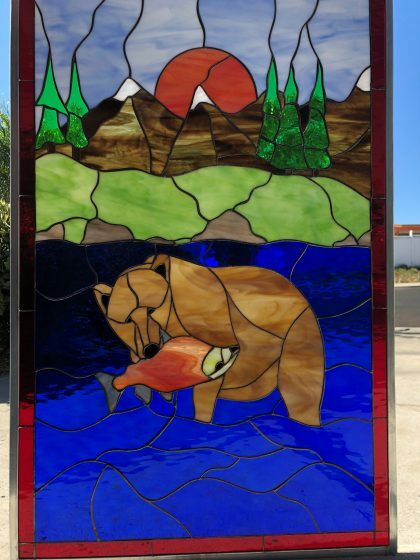 With brilliant colors, the sun will dance through this piece to add a unique a custom-made touch to your home.